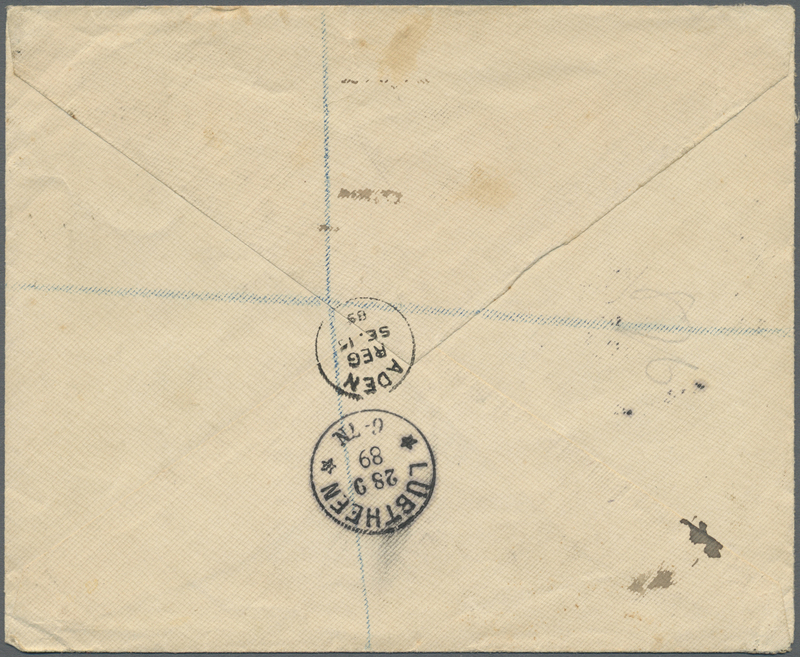 ADEN 1889: Registered cover from Aden to Lübtheen, Mecklenburg, Germany franked with India QV 3a. and 2a. 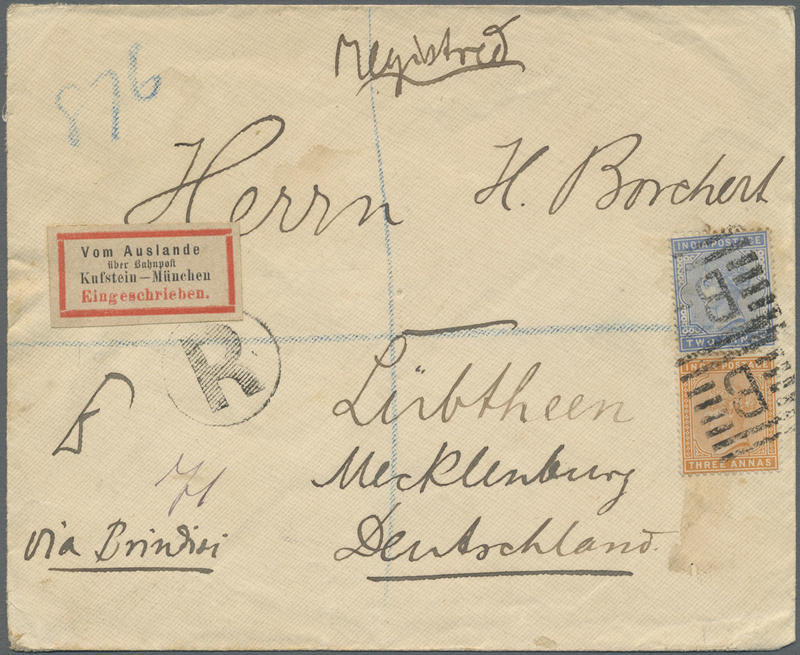 both tied by "B" in square of bars, circled "R" and scarce Austrian-German Railway Registration label "Vom Auslande/über Bahnpost/Kufstein-München/Eingeschrieben." alongside, Aden Reg. despatch cds (15 Sep 89) and Lübtheen '28 9 89' arrival cds on the reverse, fine.